Will you be merciful to that life within the womb? I am writing to you on behalf of those unborn Canadians who have not and will not make it outside of their mother’s womb — alive. They are the victims of aborterrorism. To fully realize what “aborterrorism” is I invite you and all Canadians to go to www.abortionNO.org and www.silentscream.org. In order to inform all members of parliament in this light, I sent them a document titled “Grant Personhood and Life To The Unborn,” in August. My hope and prayer is to move the hearts of politicians who have the courage, compassion and morale conscience to accomplish their duty as political leaders to put a stop to the aborterrorism which is plaguing our unborn Canadians. An Angus Reid opinion poll on August 3 revealed only 21 percent of Canadians realize that there are no laws to protect the unborn from the moment of conception till birth. The other 79 percent assume there are laws that give some degree of protection for the unborn. I am convinced if Canadians knew all the facts, the whole ugly truth about abortion, they would without a second of hesitation, insist that the Canadian government re-instate laws to make abortion illegal. 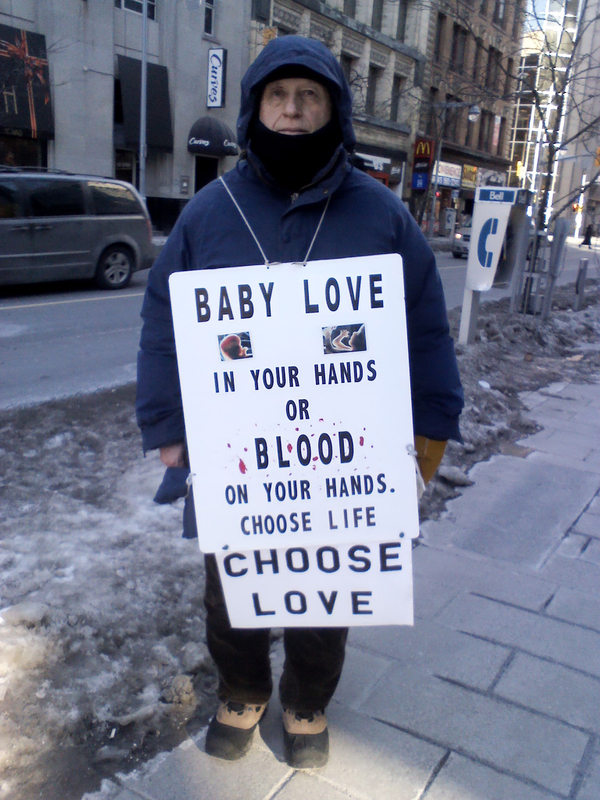 I ask you sir, will it be part of your legacy to be remembered as the courageous prime minister who cared enough for the helpless, innocent unborn, that he led his party to pass laws to put an end to aborterrorism which has already claimed the lives of well over three million Canadians within the wombs of women? Or, will you be remembered as the politically correct prime minister who denied a national debate on abortion and refused to let the Canadian voter exercise their democratic right to vote according to their conscience on this most critical issue of our time? As Christians we know that we all have a legacy which will be closely examined by our Creator, when our time on earth is done and we appear individually before the Judgment Seat of Jesus Christ. At that moment it will not be man-made laws judging us, but God’s law as written in his Holy Word, which is ultimately based on a “Culture of Life” and our love for God and our neighbour, which includes the unborn person in the womb. Will you, as Prime Minister of Canada grant Canadians their democratic right to vote, now, on this issue of life or death for our cherished unborn?